Join the team of heroic pups with these Paw Patrol Sun-Staches! 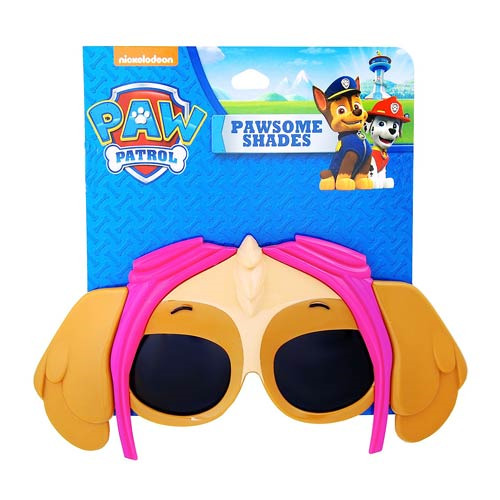 Become Skye the fearless pup with these awesome looking shades! Save the day with these paw-some Paw Patrol Skye Sun-Staches. One size fits most and all Sun-Staches provide 100% UV400 protection. Ages 13 and up.